For information regarding our long-term rentals, please see rentals. Our on-site facilities are equipped with Steinway instruments and are available for your recordings and events. We are offering four grand piano studios and an additional studio for ensembles, all suitable for teaching, rehearsals as well as master classes. For concerts, recordings and festivals we also offer short-term rentals. For musicians and concert halls throughout Europe, seeking for a high quality instrument but with no means of buying a Steinway grand, we rent out our Steinways for long-term rent. The monthly rents are between € 180 and € 350, excluding transport, insurance and maintenance. For teaching, rehearsing, as well as for master classes we are offering five rental studios and an additional studio for ensembles. Each studio is equipped with a Steinway grand, which has been finely overhauled at Klangmanufaktur. Rental duration and frequency can be booked individually. The studios, including the kitchen and lounge area, are accessible around the clock, 365 days a year with an independent entry system. Please do not hesitate to contact us to arrange a visit. Our Steinway concert grand pianos are available for rent for concerts, recordings and festivals. 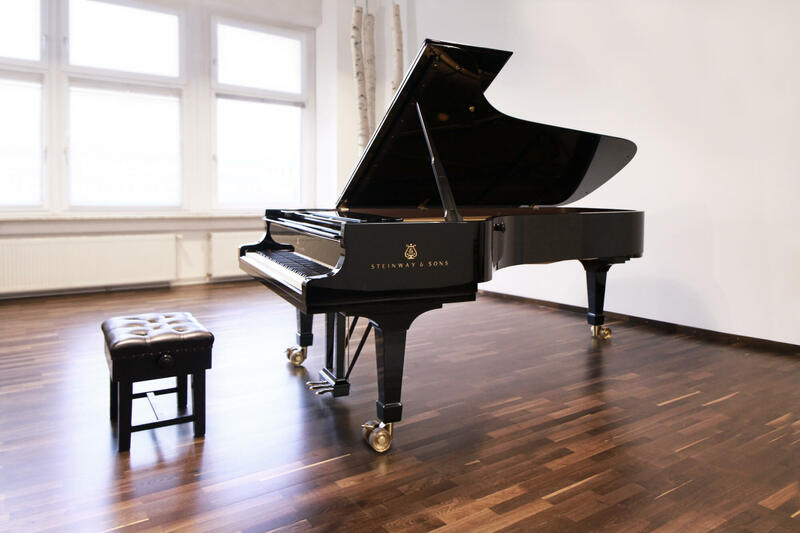 Our facilities, including our Steinways, are also available for your recordings and events, allowing you to save the costs for grand piano shipping. During concerts and events our workshop is generally open to public and we are always happy to give you and your guests a tour of our instruments and craftsmanship.